Over the next couple of weeks, while I get ready for the big move, my blog might be quieter than usual. I am making a point to only work on it when I am home alone. I only have about 10 more days to soak up as much time with my friends, family and boyfriend, before I head off on my own to California. I am trying to visit all my AZ favorites and take some pictures. Add that to purging the junk and packing up my life, I don’t have a lot of spare time. But speaking of fun things, here is a little glimpse of my weekend! I went to this really awesome place in Old Town Scottsdale called The Brush Bar. What makes a place really awesome in my book? Wine. 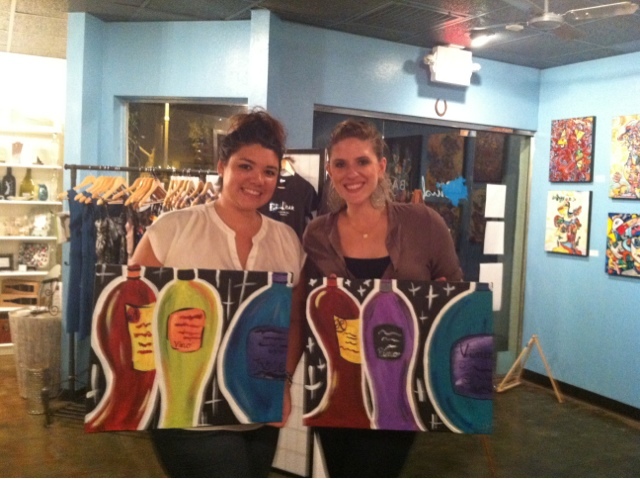 Couple wine with a creative activity and girlfriends and you have a surefire recipe for awesome! If you live in AZ, I highly recommend checking this place out. Got to thebrushbar.com and check out the calendar. Chose a date with your favorite painting and make a reservation! All the best painting sell out fast! Then for $40 you get a glass of wine, all the supplies you’ll need for the painting and full instruction. Plus, August is their one year anniversary so you can do all this for just $35- totally worth it! After: lots of paints mixed, empty wine bottle and a new addition to the kitchen! I think they turned out pretty well considering the anxiety I was having staring at a blank canvas! The Brush Bar also has an adorable store you can check out! On Saturday I spent some time packing and look what I found! When I was a kid I collected key chains from every place I ever went. I still have over 100 individual memories captured by a unique key chain. I don’t know why I stopped, probably because it got really heavy! 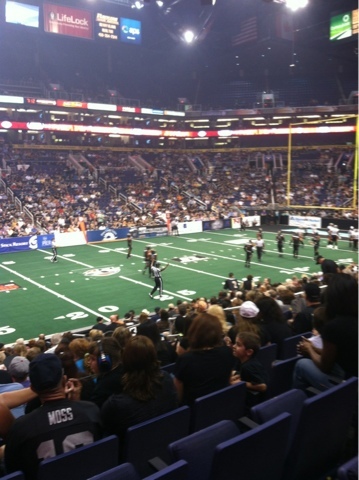 Saturday night the boyfriend and (plus two of his friends) went to the AZ Rattlers game (Arena Football). If you knew me, you’d know I was a seriously dedicated Rattlers fan in high school. I still love how fast the game is and how the leader board can change in a matter of seconds. It was a good time! On Sunday, I went to see Step Up Revolution with my best friend Meggan. Sadly I have no photo to share, but I can tell you I loved the movie. We have seen all of the Step Up movies together and this one did not disappoint with insane dance scenes and a marginally better plot. Lets be honest I watch for the dance not the acting. If you love dance, check out the movie! I hope you all had a great weekend too! Talk to you soon! Ok, first of all, wine and painting? Great combination! 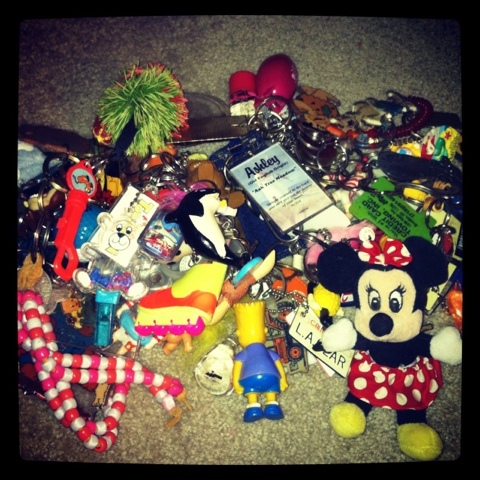 And also… I am jealous of your keychain collection. Mine pales into insignificance beside it! I had to take most of mine off recently though…I swear they were taking up half the space in my handbag! I want to do one of those painting classes. It looks like a lot of fun. I love Arena football too. My city's team is the Sharks. It's always such a fun time and keeps me in a football state of mind! I think you did a fabulous job with the paintings! Staring at a blank canvas is always challenging.